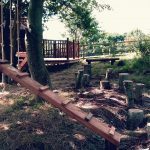 The family in question have 2 young girls and wanted to utilise the space in the meadow area of their garden near some young trees, which at the time was fairly unused and wild. 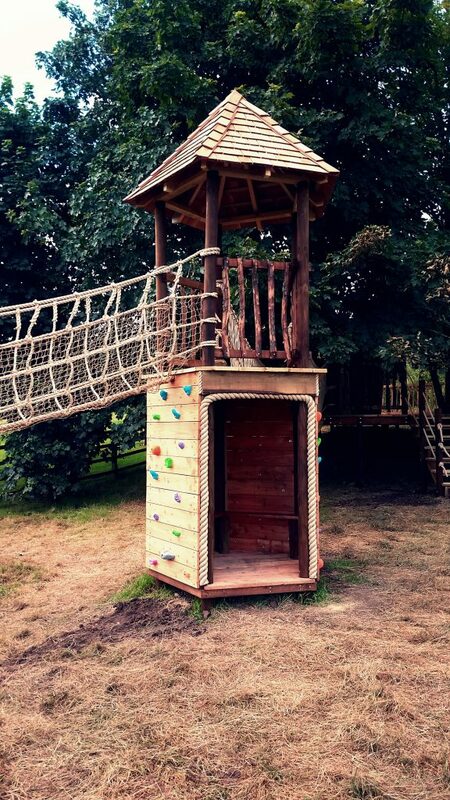 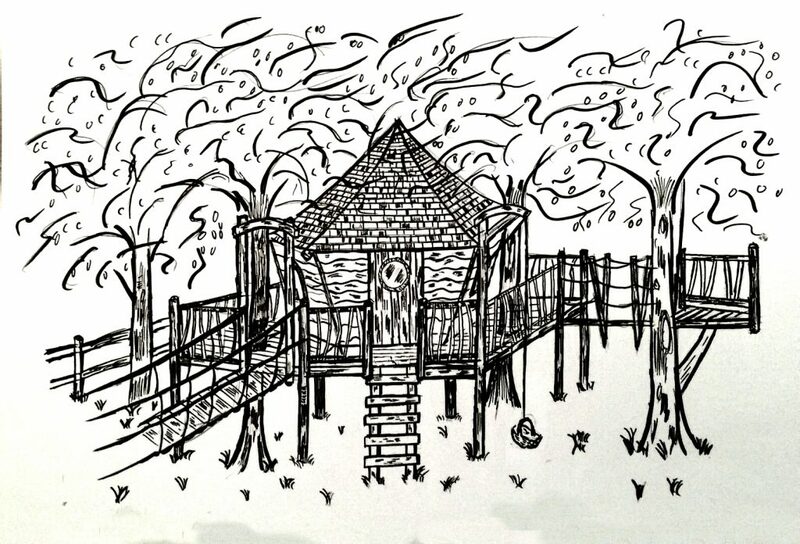 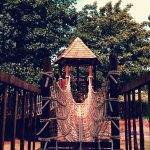 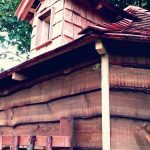 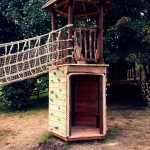 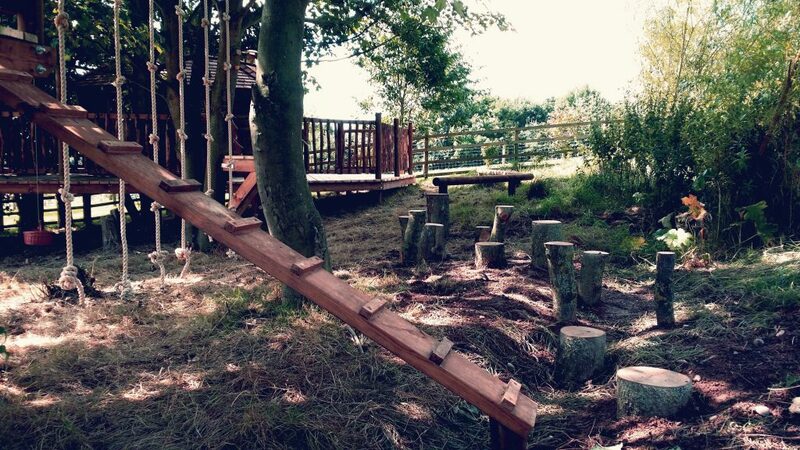 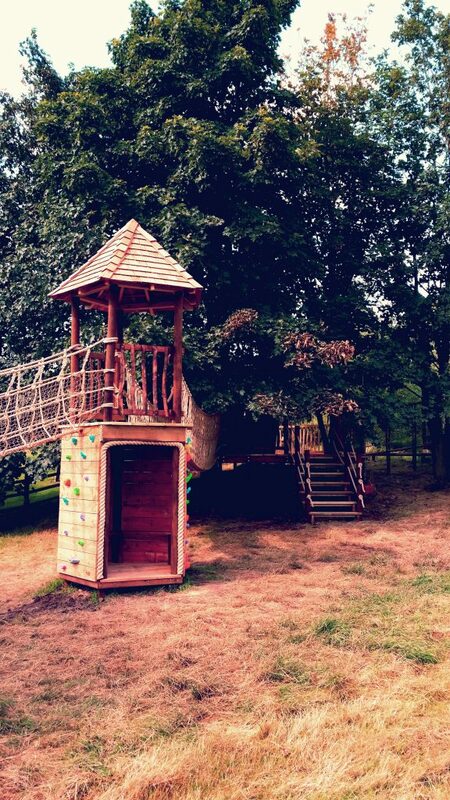 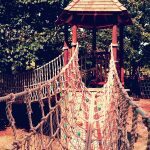 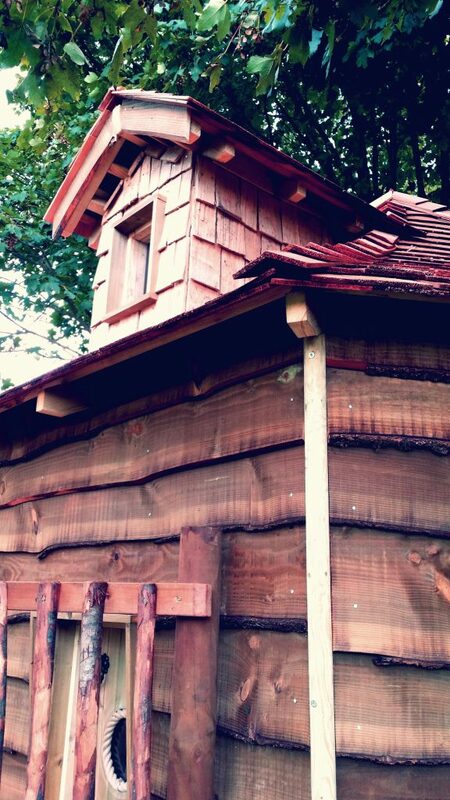 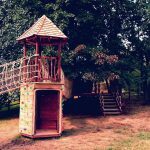 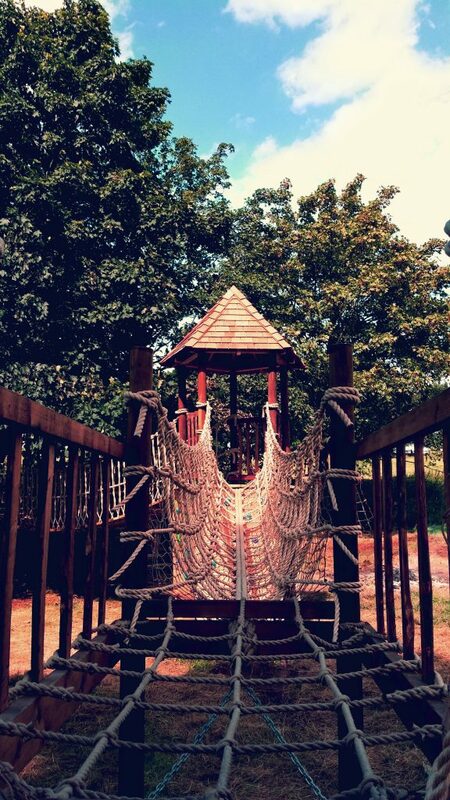 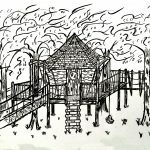 We were asked to produce a quirky tree house design to amaze their 2 young girls with enough play equipment to keep them running around for hours and a fantastically long zip wire. 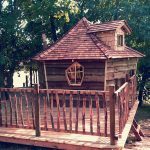 The parents also wanted a large enough deck area to the back of the tree house to put a cople of chairs so the can catch the evening sun whilst their children race around. 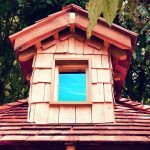 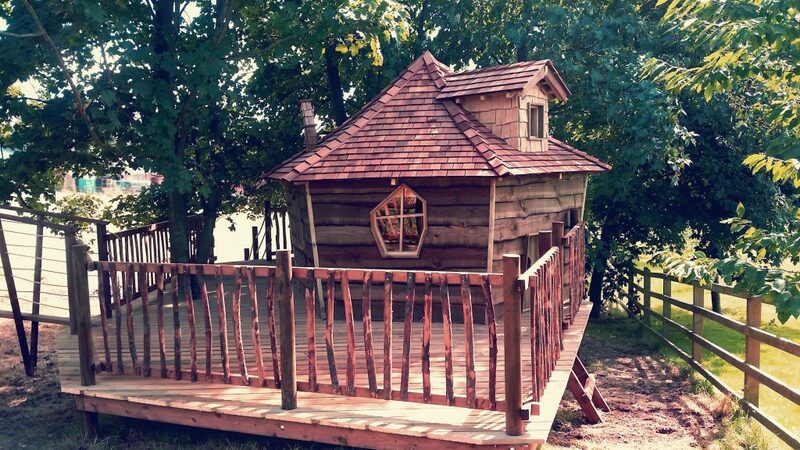 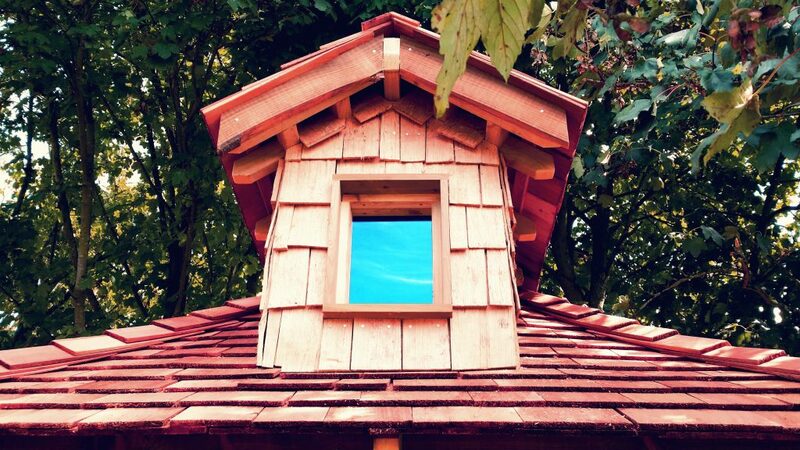 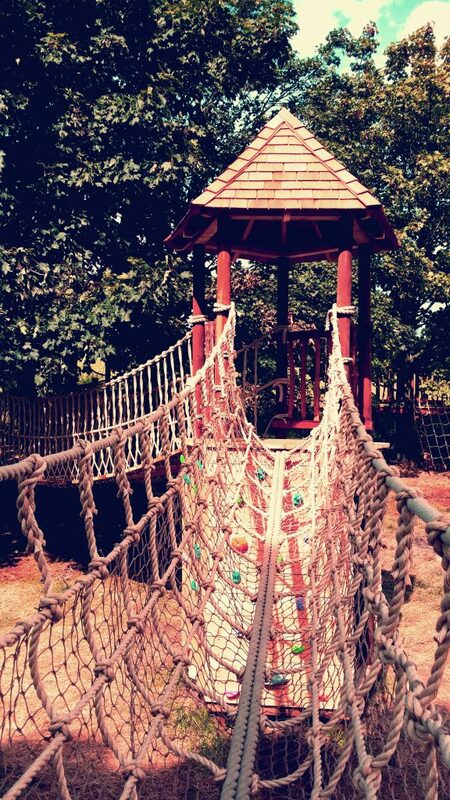 The setting at the back of the meadow was perfect to create a well spaced out combination of linked platforms with different bridges and play pieces on each one with the center piece of a hexagonal treehouse with quirky windows, chimney and dormer.